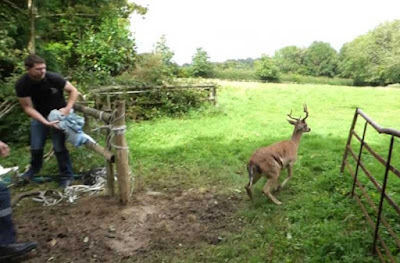 A fallow deer is running free thanks to volunteer rescuers. Daryl Farmer, Chris Riddington, Trevor Weeks and Kathy Martyn were instrumental in rescuing the animal at High Hurstwood, Sussex, on Saturday. 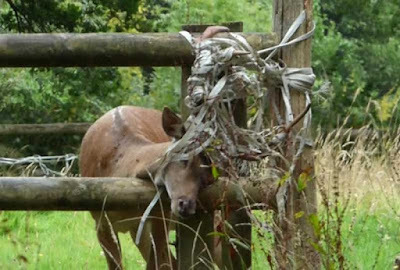 East Sussex WRAS were called out after a resident found the animal with its antlers entangled in electric rope fencing at a gateway to a field. The deer was twisting and turning trying to get free and rescuers were worried it would cause itself serious injuries or even break its neck on the fence. The location was awkward to work at making the rescuers’ job very risky and dangerous. It took three attempts to secure the deer. 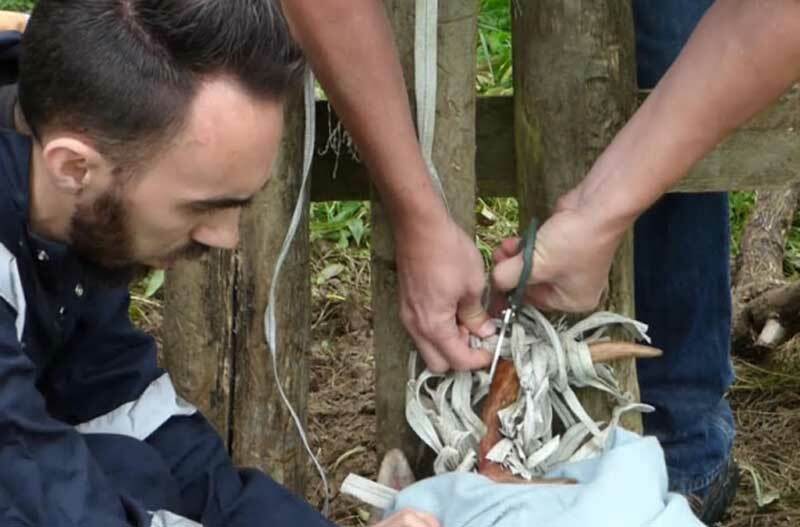 Once down rescuers started cutting the electric rope free from the antlers. “This process has to take less than 30 minutes or the deer runs the risk of having a heart attack,” said Trevor Weeks. With Trevor holding the rear legs and Chris pinning the deer’s shoulders to the floor, Daryl started cutting away the rope using WRAS entanglement kit. After a check over the deer was eventually suitable for release and in a controlled manner the deer was allowed to jump up and run off back to the wild again.